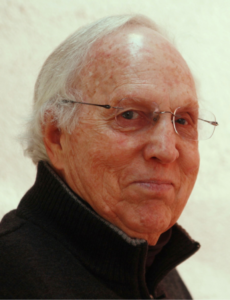 Walter Andrew , the founder of the Patagonia Regional Times, was a gregarious and tenacious man. 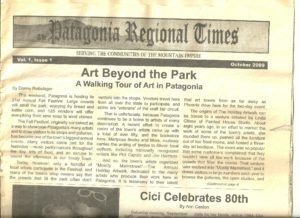 Once he had an idea, like a local community newspaper for Patagonia and its surrounding communities, it was going to happen. In 2009, Walter convinced his neighbor Donna Reibslager, to co- edit a new monthly newspaper. They convinced a few other brave souls to become part of a board of directors and Walter filed for non-profit status with the IRS. From the beginning the PRT focus was local. It was a totally volunteer effort with the exception of the advertising manager who sold ads to cover the costs of printing. Eventually Walter was kicked upstairs to become publisher and Ann Katzenbach became co-editor with Donna. In 2013, the PRT rented a storefront in Patagonia for its office and with its tenant PABA now SITA, opened a Visitors Center in Patagonia. Like many organizations, the PRT eventually wore out its stellar group of volunteers and it was either hire paid staff or die. In the fall of 2016, we asked the community if they were willing to support the paper with private donations. The response was both quick and generous. Beginning in 2017, the PRT hired a team of very part time staff including an editor, an assistant editor, a bookkeeper, and continued the advertising manager. The total combined staff is equal to just under one full time person. The Board of Directors stepped up to begin active fundraising, increase advertising, complete a community survey, develop a strategic plan, institute necessary policies, and add members. We also turned over the lease of the Visitor Center to SITA. The new team is working hard to maintain a high standard of content and better balance Patagonia coverage with increased reporting in Sonoita and Elgin. We are also working hard to increase the diversity of viewpoints represented in the paper and to expand significantly our online presence.